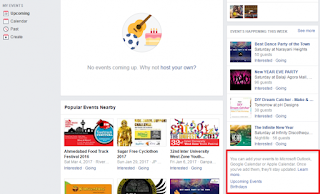 How to Save Facebook birthday and events in your Android and iPhone smartphone google calendar? Sometimes no most of the times we are missed to wish our best friends birthday and forgot to go events. Now no need to forgot your friends birthday, you can now remember. 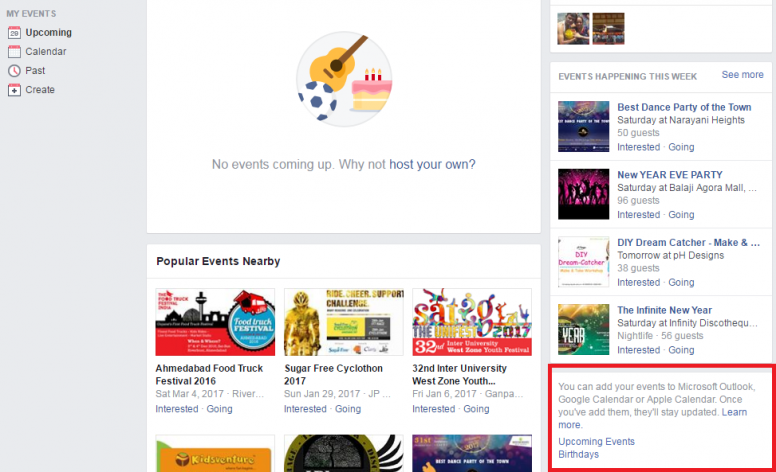 Here is the step by step guide for How to Import and save Facebook birthday or events and export to your Android smartphone google calendar? Also see: How To Create a Facebook Account without giving a Mobile number or email? 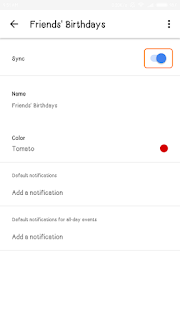 This step for Manually Update the birthdays and events.. Step 1. Go to facebook.com website. Step 2. Sign in to your Facebook account. Step 3. Now go to events in Facebook accounts. Did not find the events after you logged in your Facebook account. Click below link. Step 4. Go to events page, Scroll down the right side of the page. Step 5. Now you can see birthdays link in the events page. Now right click on birthdays link and copy the URL. Step 6. Now Open any one of the browser (chrome, Firefox, safari). Step 7. Now open the new tap and paste the link. Step 8. Next Remove “webcal://” from URL. Tab enter button. Step 9. Now it will ask you to save the file. You have to downloaded it in this format “yourfilename.ics“. save it on some where. Step 10. Now go to google calendar. Step 11. Sign In with your gmail account you have used in your Android device. Step 12. Now go to left side you can find calendar. Step 13. Now go to Other Calendars. Step 14. Expand Other Calendars you can find some options. Step 15. 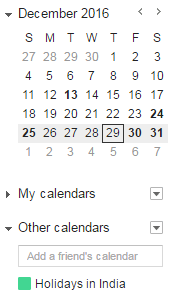 Next Click the right small down arrow button from Other Calendars. Step 16. Now click import calendar link. Step 17. Now browse your file you have already downloaded and select the “yourfilename.ics” file. Step 18. Click import button. That’s it you have successfully imported all the Facebook friends birthdays in your google calendar. Step 19. Now in your smart phone, go to settings in your mobile device. Step 20. Now go to your google account. Step 21. Next go to more. Step 22. Now go to calendar. Step 24. Now you need to enable sync option in your Android device. After Successful sync all the Facebook birthdays you can see on your mobile phone calendar. For automatically Update the birthdays and events. Step 1. Now you need to do Step 1 to Step 7 from “Manually Update the birthdays and events”. Step 2. Now you need to do Step 10 to Step 15 from “Manually Update the birthdays and events”. Step 3. Now Click “Add By URL” link. Step 4. Now paste the link copied from Facebook website. Step 5. Now click “Add calendar” button. Step 6. 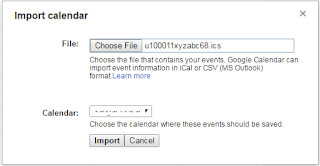 Now it automatically update in your google calendar for syncing the mobile device do Step 19 to Step 24. 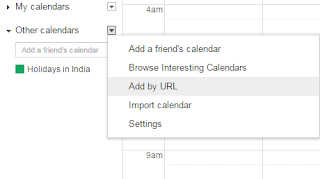 Even you can import Facebook events int the same way. Share this to your friends help them. PREVIOUS POST Previous post: Bitcoin is a future payment method for everything?